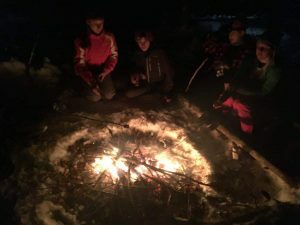 In the depths of winter, teens unplug & climb the mountain to access the power and beauty of wilderness in winter that few ever get to experience. With a rustic Forest Service cabin to call home, we spend three days & two nights in the crisp mountain air – exploring, tracking, and playing games by day; warming ourselves close to the fire and telling stories by night. We’ll ring in 2019 like no one else.